The long gestating adaptation of Stephen Rebello’s book Alfred Hitchcock and the Making of Psycho looks like it’s finally coming to fruition. Not only has Anthony Hopkins (The Silence of the Lambs) signed on to play the famous director, but Helen Mirren (The Queen) has joined the cast as Alma Reville, Hitchcock’s wife. With the behind-the-camera casting set, it’s now being reported that Scarlett Johansson (Lost in Translation) will step into the shoes of Psycho star, Janet Leigh. James D’Arcy (Master and Commander: The Far Side of the World) will co-star beside Johansson as Anthony Perkins/Norman Bates. Hit the jump for more. Variety reported on the addition of Johansson and D’Arcy to the project. Directed by Sacha Gervasi (The Terminal) from a screenplay by John J. McLaughlin (Black Swan), Alfred Hitchcock and the Making of Psycho follows the production process of the 1960 horror classic from the acquisition of the original Robert Bloch novel to the eventual nationwide success. At the time, Hitchcock was thought to have gone crazy when he pitched the idea of filming a horror movie at the apex of his career. Having difficulty finding financing, Hitchcock shot the film with a less expensive TV crew. Crucial to the storyline is that of Mirren’s character, Alma, who was an important behind-the-scenes collaborator. 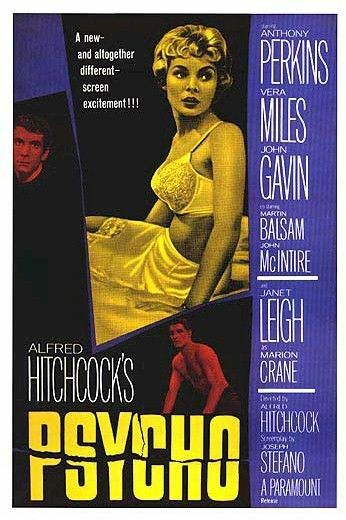 First published in May 1990 by Dembner Books and distributed by W.W. Norton and Company, the book details every aspect of the creation of director Alfred Hitchcock’s famous thriller Psycho released to theaters in 1960. From Hitchcock’s acquisition of the original novel by Robert Bloch to his work with two different screenwriters, casting, filming, editing, scoring, and promotion, the book takes readers into the day-to-day lives of moviemakers who believed they were making a modestly-budgeted, black-and-white shocker that represented a radical departure from the elegant, suspenseful films that had made director Hitchcock’s reputation, including Rope, Rear Window, To Catch a Thief,The Man Who Knew Too Much, and North by Northwest. The project Hitchcock tackled in part as an experiment to compete with financially-successful, low-budget, youth-oriented horror movies went on to astound many by becoming a cultural watershed, an international box-office success, a film classic, and a forerunner of the violent, disorienting films and real-events of the turbulent ‘Sixties.